PORT ORANGE, FL – Thompson Pump, a recognized leader in the design, manufacturing and supply of portable, diesel-driven pumps, has announced that Bobby Thompson is their Branch Manager of the Year. Of the 21 Thompson Pump branch operations nationwide, Bobby Thompson is the manager of the Panama City, FL location and recently was promoted to Territory Manager which extends from Mobile, Alabama to Tallahassee, Florida and includes Southwestern Georgia and portions of Southern Alabama. 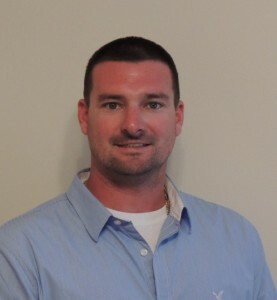 Thompson, a 10-year veteran of the industry, directed the rentals, sales and service activities of the Panama City and Pensacola locations during 2012. Through his leadership, he reorganized and streamlined the branches’ operations, enhanced customer service in the region and exceeded revenue and profitability targets. Additionally, Thompson received the Thompson Pump President’s Award for Excellence in Health & Safety for outstanding achievements in those categories as evidenced by zero OSHA recordable accidents and injuries. Thompson Pump is respected worldwide for its sophisticated heavy-duty lines of high quality, high performance pumps, ranging in size from 2 to 24 inches. Thompson Pump sells and rents their entire line of pumps in the areas of public works, construction, agriculture, dewatering, mining, sewer/lift stations, and water/waste water. Types of pumps designed and manufactured by Thompson include wet prime trash pumps; dry prime trash pumps with compressor-assisted or vacuum-assisted priming systems; sound attenuated pumps; utility trash pumps; diaphragm pumps; hydraulic power units with submersible pump ends; rotary, vacuum and piston wellpoint pumps and high pressure jetpumps. With these different types of pumps, as well as a full complement of accessory hoses and piping, Thompson can supply the proper pump and system for any application. In addition, Thompson provides engineering services and special applications consulting for complicated wellpoint, bypass or multiple pump systems; and offers thorough pump and dewatering education and training through its Pumpology® courses. Thompson Pump, a 43-year old family-owned company based in Port Orange, Fla., is a full-service manufacturer and provider of high quality pumps, pumping equipment and engineering expertise for the toughest dewatering, bypass and emergency pumping applications. Since 1970, Thompson Pump has assisted clients worldwide with pump rentals, sales, service, repair, design, installation and operational support. Thompson Pump operates sales, rental and service centers throughout the United States with 21 branches. The company is also aligned with distributors around the world. Thompson Pump is a Blue Chip Enterprise Award winner and their products meet the requirements for certification as defined by the Contractors Pump Bureau. Thompson Pump holds numerous product patents along with the registered trademarks of Enviroprime®, Silent Knight®, and Arctic Knight®. Thompson Pump brand can be followed on various social media channels, including Facebook, Twitter, and YouTube.